All Hours Plumbing Inc. is a small family owned business with over 20 years experience in Charlotte NC and the surrounding areas. Brett and Tassie Eschert are the company owners and are married with two children. Brett has lived in the Charlotte area for 31 years and spends most of his free time volunteering with youth sports in the community. 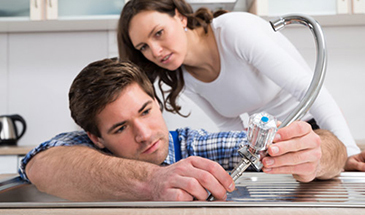 All Hours Plumbing Inc. is based on the belief that our customers’ needs are of the utmost importance. We are committed to meeting those needs and as a result, a large percentage of our business is from repeat customers and referrals. Word of mouth is our best form of advertising! We would welcome the opportunity to earn your trust and deliver you the best service money can buy. 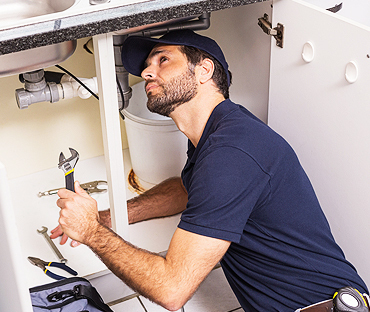 Our plumbers are highly trained professionals with many years experience in the industry and we use only the highest quality fixtures and materials in all of our plumbing repairs and installations. No matter how well you take care for your home, plumbing issues still can happen. So, when you realize that there’s an issue with your homes’ plumbing, schedule a consultation with All Hours Plumbing Inc. The time to act is now, before things get worse. 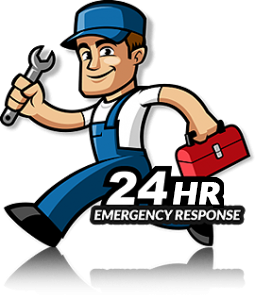 We are ready 24/7 to help and have more than two decades of experience. 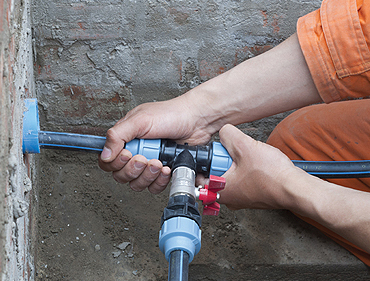 We can repair all plumbing issues that you may be facing and if necessary, provide new system component installations at a great market price. Call us today for all your residential plumbing needs. We intend to exceed your expectations! Quick and Reliable Plumbing Repairs of Pipe Leaks, Water Heater Bursts, Sewer System Backups, & More! My water main broke on a Sunday afternoon. All Hours was the only plumber to return my call, and Johnny showed up less than an hour later. He worked in difficult, dark, muddy conditions for a couple of hours, got the main repaired, and water restored to the house. There was a small glitch, but when I called about that glitch, Johnny and Eric showed up at my house within a half hour, and worked until they got the glitch fixed - at no charge. I would sum it up this way: All Hours is responsive, prompt, professional, and they stand behind their work 100%. I can't ask for more than that. I'm confident in recommending All Hours Plumbing and I'll definitely use them again. 10/22/2018 My water main broke on a Sunday afternoon. All Hours was the only plumber to return my call, and Johnny showed up less than an hour later. He worked in difficult, dark, muddy conditions for a couple of hours, got the main repaired, and water restored to the house. There was a small glitch, but when I called about that glitch, Johnny and Eric showed up at my house within a half hour, and worked until they got the glitch fixed - at no charge. I would sum it up this way: All Hours is responsive, prompt, professional, and they stand behind their work 100%. I can't ask for more than that. I'm confident in recommending All Hours Plumbing and I'll definitely use them again. Brett and Johnny replaced a water heater for me. They arrived when they said they would and did the job quickly and efficiently. They left a clean work area and made sure I understood the operation and warranty details before they left. I would definitely use All Hours Plumbing again. 9/4/2018 Brett and Johnny replaced a water heater for me. They arrived when they said they would and did the job quickly and efficiently. They left a clean work area and made sure I understood the operation and warranty details before they left. I would definitely use All Hours Plumbing again. From call to arrival about 2.5 hours, but considering I waited until 11 to call and I live in the northwest side of a Rock Hill, I can't complain at all. I had a retractable Moen faucet with a bad retract hose and a Moen single handle bathtub faucet that was completely locked. A couple of things I like, someone who knows what they are doing and someone who doesn't mind showing me what they are doing and Johnny did both. I learned quite a bit and he gave several tips as he was fixing my issues. Thanks for the great work! 6/25/2018 From call to arrival about 2.5 hours, but considering I waited until 11 to call and I live in the northwest side of a Rock Hill, I can't complain at all. I had a retractable Moen faucet with a bad retract hose and a Moen single handle bathtub faucet that was completely locked. A couple of things I like, someone who knows what they are doing and someone who doesn't mind showing me what they are doing and Johnny did both. I learned quite a bit and he gave several tips as he was fixing my issues. Thanks for the great work! Great experience all around. Prompt return of initial call (w/in 5 mins), low pricing, Eric and Richie were on time and completed our new water heater install in under 2 hours. Called Tuesday to get a quote and by Thursday at 10:30 job was complete. Would highly recommend for any residential needs. 5/10/2018 Great experience all around. Prompt return of initial call (w/in 5 mins), low pricing, Eric and Richie were on time and completed our new water heater install in under 2 hours. Called Tuesday to get a quote and by Thursday at 10:30 job was complete. Would highly recommend for any residential needs. Fantastic service! Very professional. On time and great communication. Truly appreciated the knowledge and felt very good about the services being provided. 3/13/2018 Fantastic service! Very professional. On time and great communication. Truly appreciated the knowledge and felt very good about the services being provided. Johnny and his colleague replaced the bolts in the toilet tank for me in addition to replacing the gasket. Scheduling was easy and they called half an hour before arrival. They did a great job with fix and the price was much more reasonable than all the other quotes i got. I would definitely recommend them. 3/4/2018 Johnny and his colleague replaced the bolts in the toilet tank for me in addition to replacing the gasket. Scheduling was easy and they called half an hour before arrival. They did a great job with fix and the price was much more reasonable than all the other quotes i got. I would definitely recommend them. We had a toilet that leaked and ran and ran and ran and ran. We tried to replace the stopper ourselves, but to no avail. So, we called a plumber. Never quite know which service to call, but based on the Yelp Reviews, this one looked good. They came and basically told us that they would have to rebuild the toilet and that they would be back in about a week, after the parts arrived. Well, they did exactly what they said they would. They always called in advance and it took about 30 minutes to fix the toilet. The bill was $180. The toilet was about ten years old, so I am not surprised that it was in need of some repair! All in all, I would recommend them. Nothing out of line here. 12/28/2017 We had a toilet that leaked and ran and ran and ran and ran. We tried to replace the stopper ourselves, but to no avail. So, we called a plumber. Never quite know which service to call, but based on the Yelp Reviews, this one looked good. They came and basically told us that they would have to rebuild the toilet and that they would be back in about a week, after the parts arrived. Well, they did exactly what they said they would. They always called in advance and it took about 30 minutes to fix the toilet. The bill was $180. The toilet was about ten years old, so I am not surprised that it was in need of some repair! All in all, I would recommend them. Nothing out of line here. Had a wonderful experience on a 50 gal water heater replacement. Team showed up on time, work was done wonderfully, and even spoke with my wife about other plumbing concerns we had in the house. Price was SIGNIFICANTLY lower than the next 2 quotes that we got, but I do not feel like we settled on quality. Not going to go into a diatribe about the experience, but rest assured, for our first plumbing call in North Carolina, these guys were fantastic. I wouldn't hesitate to recommend All Hours Plumbing. 4/18/2017 Had a wonderful experience on a 50 gal water heater replacement. Team showed up on time, work was done wonderfully, and even spoke with my wife about other plumbing concerns we had in the house. Price was SIGNIFICANTLY lower than the next 2 quotes that we got, but I do not feel like we settled on quality. Not going to go into a diatribe about the experience, but rest assured, for our first plumbing call in North Carolina, these guys were fantastic. I wouldn't hesitate to recommend All Hours Plumbing. I feel like most plumbing repairs are emergencies after all it involves water! We had an issue under a bathroom sink and called several plumbers looking for someone to come out on a Saturday afternoon. All Hours Plumbing responded to my call first and was able to get to the house in an hour. The repair was completed quickly and the plumber, Johnny was very through, respectful and pleasant, even though he had given up his afternoon. We are new to the area and I will be calling this company for non-emergency issues in the future. 4/2/2017 I feel like most plumbing repairs are emergencies after all it involves water! We had an issue under a bathroom sink and called several plumbers looking for someone to come out on a Saturday afternoon. All Hours Plumbing responded to my call first and was able to get to the house in an hour. The repair was completed quickly and the plumber, Johnny was very through, respectful and pleasant, even though he had given up his afternoon. We are new to the area and I will be calling this company for non-emergency issues in the future. All Hours Plumbing was referred to me by a client in the property management business. He spoke so highly of Brett that when the time came and I needed a plumber, I called on him. Brett was extremely friendly on the phone and was able to fit me in the same day that I called. My drains in the upstairs bathroom were a wreck, but Brett had them cleared in no time. All Hours Plumbing's business card is on my refrigerator to stay and I will be using his services for all my plumbing needs. I highly recommend All Hours Plumbing. 03/17/2017 All Hours Plumbing was referred to me by a client in the property management business. He spoke so highly of Brett that when the time came and I needed a plumber, I called on him. Brett was extremely friendly on the phone and was able to fit me in the same day that I called. My drains in the upstairs bathroom were a wreck, but Brett had them cleared in no time. All Hours Plumbing's business card is on my refrigerator to stay and I will be using his services for all my plumbing needs. I highly recommend All Hours Plumbing. Very good plumbers. I had them replace my kitchen faucet and install a new pot filler faucet over my cook top. Good follow-up and when I needed them, they came right out. Highly recommended. 5/2/2016 Very good plumbers. I had them replace my kitchen faucet and install a new pot filler faucet over my cook top. Good follow-up and when I needed them, they came right out. Highly recommended. We had a leaking supply line to a new dishwasher and a couple of other issues in our kitchen related to that. We were scheduled and fixed within about 6 hours of initially hearing back. (They arrived right in the middle of the projected window, which was great.) The guys worked quickly and even did some additional cleanup before leaving. In the unfortunate event that we ever have other plumbing issues in the future, these guys will be the first call we make. 2/18/2016 We had a leaking supply line to a new dishwasher and a couple of other issues in our kitchen related to that. We were scheduled and fixed within about 6 hours of initially hearing back. (They arrived right in the middle of the projected window, which was great.) The guys worked quickly and even did some additional cleanup before leaving. In the unfortunate event that we ever have other plumbing issues in the future, these guys will be the first call we make.